OAKLAND, Calif. (KGO) -- The wait is over for Kevin Durant fans in the Bay Area. The basketball superstar is playing his first game at Oracle Arena since signing with the Warriors. The team store just opened and the hot ticket item has been Durant shirts. He's making his debut at Oracle - but not wearing the blue and gold. Our newest Golden State Warrior will be wearing red, white and blue, playing on Team USA in an exhibition game to prepare for the Olympics. 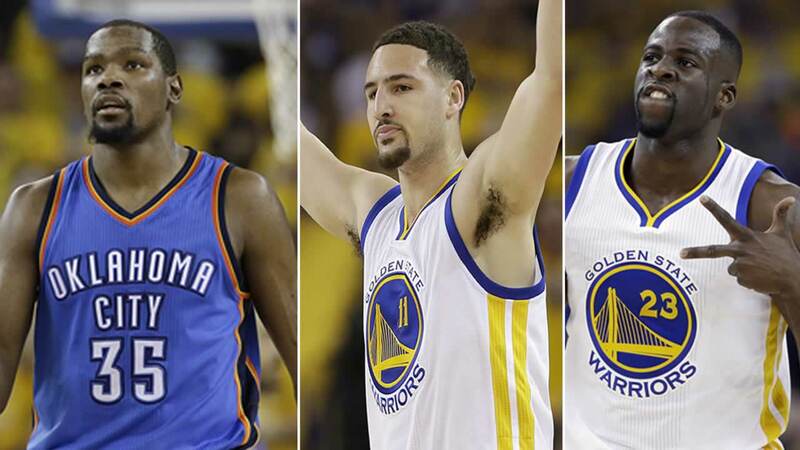 Durant, along with Draymond Green and Klay Thompson, will represent the Warriors and Dub Nation is fired up. A family who is on a road trip from Alberta, who loves the Warriors, is looking for tickets to Tuesday night's game so they can see the new star in action. Oracle doesn't even look the same inside. They have erased all traces of the Warriors. They replaced their logos with Team USA basketball logos. Even the floor is new. This is the team's third of five exhibition games. They're playing China tonight. The Chinese team just finished a shoot around practice, but was shy and did not want cameras inside for that. You'll have to wait and see them Tuesday night at 7 p.m. Tickets are still available. The first Olympic game for Team USA is August 6, also against China.